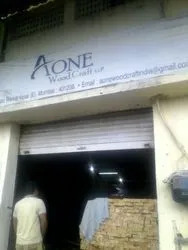 Established in 2011, we, "A One Wood Craft Llp" [Mumbai] is manufacturer, wholesaler, trader, retailer and service provider of Indoor Sports Flooring, Outdoor Sports Flooring, Sports Protective Walls, and Floor Skirting, etc. We are service provider of Sports Flooring Services, Synthetic Flooring Services, Gym Flooring Services, Wooden Flooring Services, Rubber Floorings Services, Squash Court Construction Services, Sports Flooring Replacement Services, and Sports Floor Maintenance Services, etc. These products are made by professionals using the top quality material and advanced technology in compliance with set industry standards. The offered products are enormously appreciated by valued consumers for their high strength, durability, longer service life and low maintenance. As well, we provide these products in varied specifications at nominal prices to the customers. Owing to our high-tech and highly developed development unit, we are accomplished to meet the increasing demands of our patrons. Moreover, our offered services are rendered by proficient team who has prosperous industry expertise and practice. 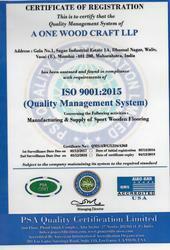 Besides, we are working under the leadership of our mentor Mr. Amit Kumar, who has vast practice of this area. Under his leadership we have attained top position in this competitive market. Based in Mumbai, Maharashtra we are involved in rendering a vast series of services and products to our customers. Our offered services and products are extensively demanded in the market owing to their top features and nominal costs. 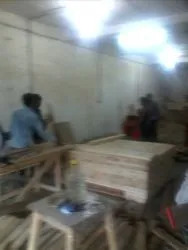 With our consistency, on-time completion, optimum quality of products, reasonable costs and low maintenance, we have gained the trust of our valuable consumers.